Image c. 2014 BrandonSun.com – Bruce Bumstead. 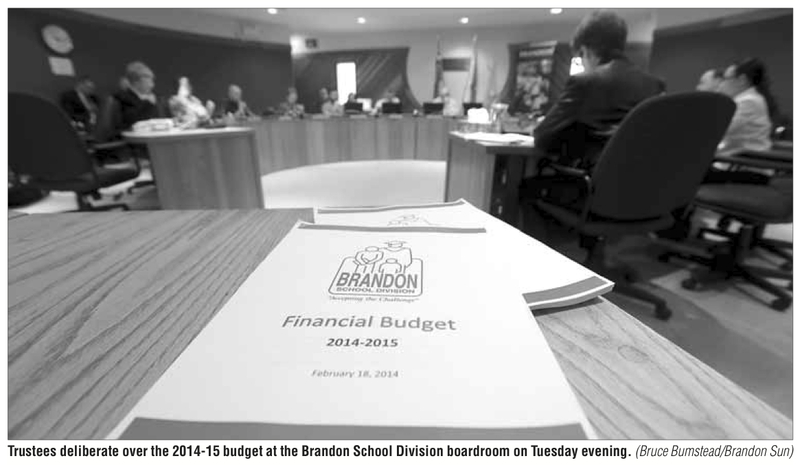 Leaving little up for the offering, Brandon School Division trustees were faced with a cut to staffing numbers or risk a large increase for the voting public just months before they head to the polls. It is often said that a voter’s memory is short, but this one could have stung if a larger number surfaced after more than eight hours of deliberation. Trustees were in for a no-win scenario in this case as the proposed 2.9 per cent increase still surfaced after a cut and a freeze in new spending. This number will result in a reduction of 11 positions within the division — most believed to be claimed through attrition and term contracts expiring, but a cut nonetheless. There is no doubt any staffing reduction hurts the possibility to provide a high level of education, especially at a time when standardized scores have slipped to the lower echelon of achievement as compared with other provincial counterparts. A couple points surface, though, as a result of this budget. Most of the struggle I have derives from the mandated K-3 class size changes doled out by the province, as well as the provincial government’s decision to not accept the scientific findings and benefits to the early intervention that is all-day kindergarten. In the interests of full disclosure, my family is currently going through the process of registering a child for kindergarten, and so far that process has been smooth sailing. The support staff in the Brandon School Division does an impeccable job in making that transition easy for children and parents alike. Where the challenge comes is now we as parents, like so many others, are sandwiched between trying to make adjustments to partial-day classes and the further child-care costs associated with that at a time when the provincial government does not fully embrace the all-day mandate, instead lobbying the K-3 class size limits, while only absorbing partial costs of the programming. From a parental standpoint, not only does the all-day, every-day kindergarten make the transition to kindergarten easier on many two-parent and single-parent families working full-time, but many studies sing the educational praises of all-day kindergarten. That’s a piece of info the province has been sitting on for some time now, which is why a reduction to staffing is likely a much harder pill to swallow for the Manitoba Teachers’ Society and trustees alike. But I digress. There was no doubt that trustees, much like their municipal counterparts, were going to face some challenges in this year’s budget. It is hard for any governing body to achieve real growth while attempting to soothe the tax base yearly with palpable numbers and frozen or reduced taxes. Realistically, the money isn’t there to keep up in most scenarios. 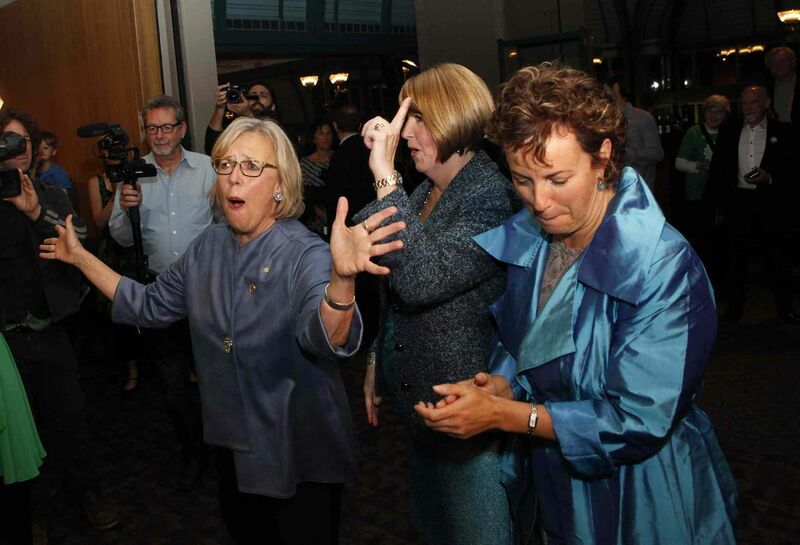 With that said, the tax base at the same time feels tapped out on increases in times of low personal exemption limits, slow growth opportunities and higher than average costs on everything from clothing to groceries to fuel to the provincial sales tax, which is why neither municipal governments nor the ratepayer can see a win in this scenario. It might be time for the provincial and municipal governments to look at including education as a blind number in the portion of the taxes you and I pay and, much like health care and many other services, it becomes a number in the bigger picture shared across the province. Direct education-based increases and the press attached with that undoubtedly pit many taxpayers against organizations like the Manitoba Teachers’ Society as the numbers are highly visible, and some within the organization would argue, affects the education delivered, as teachers who are deep in debt entering the profession wonder from year to year whether they will have a job or not. Meanwhile their longtime colleagues in the profession cannot consider retirement as the staggering cost of living is intimidating proposition as a retiree. It will take some time for this city to digest the numbers, but on an average Brandon home, this equates to a $67.92 per year increase — a palpable number, not huge on growth potential but an increase nonetheless, which is why engagement is so important in the next step. 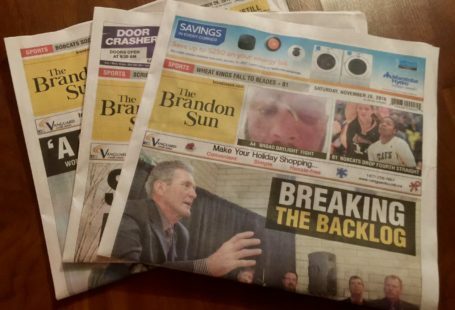 Both the city and the Brandon School Division trustees have upcoming information sessions and community debate on what makes up the increase, allowing residents to let their voice be heard. It is an excellent opportunity to come out to speak for or against either budget while helping shape further the goals for Brandon. 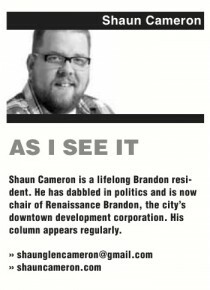 Without attending those sessions and letting your voice be heard, the last opportunity to truly speak comes at the polls this fall as Brandon residents decide the cast and characters for the next four years of leadership, opportunity and vision for this community.